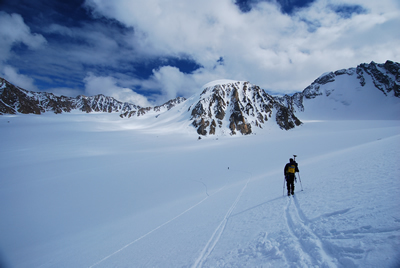 Mass balance measurements, surface velocities, cross-section profiles and continuous topography of McCall Glacier were made using real-time kinematic (RTK) surveys. The mass balance profiles were first measured in the 1990s with an airborne laser survey. These same points were re-occupied to determine vertical changes. The original network of velocity stakes was installed in 2003 and since then has been measured twice year. One Trimble 5700/R7 receiver was left for the summer to capture temporal velocity variations. The research on the glacier is part of a multiyear project funded by the National Science Foundation's Freshwater Initiative to study the hydrologic regimes of the several rivers flowing from the Brooks Range. Previous mass balance measurements on the glacier have been made during the International Geophysical Year in 1957-58, the International Hydrological Decade in 1969-1975 and the latter half of the 1990s. Because of this history, McCall Glacier has the longest monitoring record of any glacier in Arctic Alaska. Figure 1 - UNAVCO Field Engineer, Thomas Nylen re-measures mass balance positions on Okpilak Glacier in the Brooks Range, Alaska. 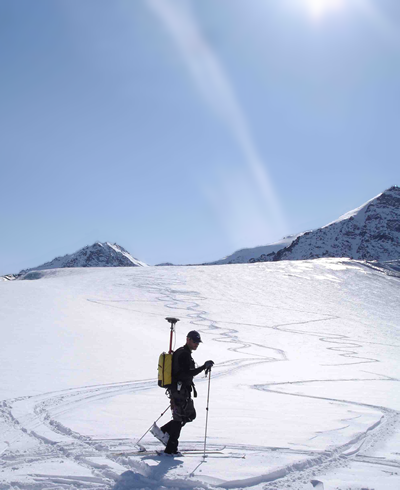 Figure 2 - Jason Geek measures surface topography of McCall Glacier in the Brooks Range, Alaska.